Hi! 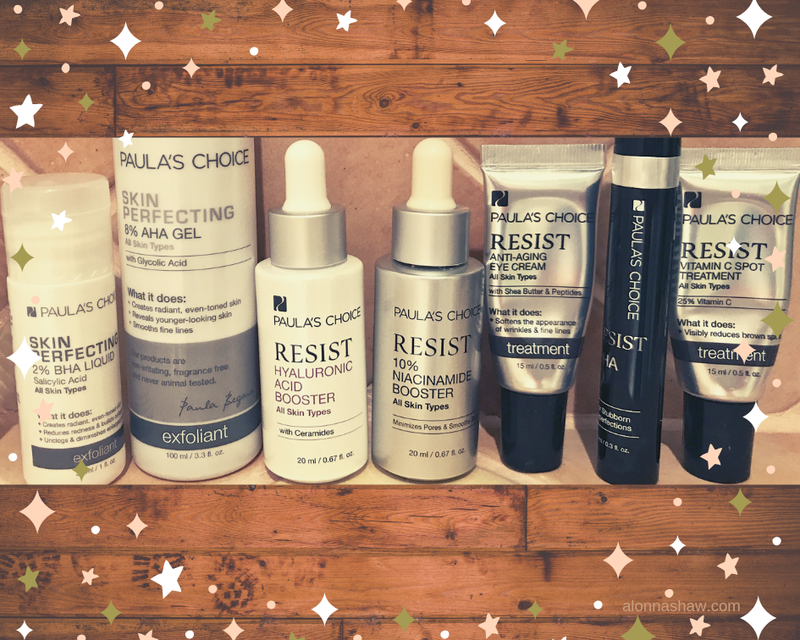 I've found some products that might not be on your radar. 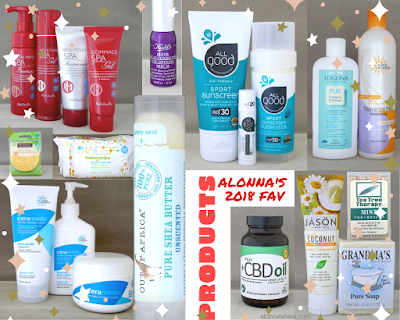 So, here's the scoop on what I've been using in 2018. The quest for reliable fragrance-free products never ends because of the relentless "new and improved" or discontinued cycle. In case you're wondering, I am not paid for these recommendations. Earth Science gets a gold medal, from me, for their new Ceramdx line. I use all three every day. The big pluses about these products are a little goes a long way, no scent, and they really have improved my skin! They sell a sample pack on their website. Kiehl's Super Multi-Correcting Eye-Opening Serum does seem to work as advertised. My tip is to avoid the eyelid. All Good's sunscreens are the only ones for me! No smelly chemicals and reef friendly! Yay—new shampoo options: Logona's PUR and Earth Science's Extra- Gentle Fragrance-Free. These Tea Tree Therapy Mint Toothpicks refresh without the sugar of a minty candy. Grandma's Lye Soap by Remwood—I buy it by the case! No more itchy skin! Jason Simply Coconut Soothing Toothpaste isn't soapy like most toothpaste. Plus CBD Oil Capsules are from hemp, not cannabis. I've tried both CBD sources. Hemp is legal (read their FAQs for more information). This one seems to help when I wake up in the middle of the night. It helps with falling asleep and sleeping more deeply. This is just my experience. Less is more when using these kinds of products for stress relief and sleep issues. Out of Africa Shea Butter Lip Balm—I love this! Earth Science's Ceramedx—my vote for BEST PRODUCTS OF THE YEAR! EcoTools cellulose facial cleaning sponges. I prefer these compared to a face cloth when removing makeup. Note, they've changed from yellow to green coloring. 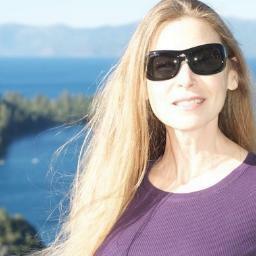 Babyganics has so many terrific products. I always have these handy wipes in the car. These next two photos are of products still sticking around from 2017. Paula's Choice offers helpful resources like the ingredient dictionary. Also, most products can be purchased as samples or trial sizes. 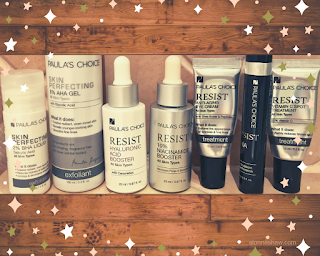 From Paula's Choice: Skin Perfecting 2% BHA Liquid, Skin Perfecting 8% AHA Gel, Resist Hyaluronic Acid Booster, Resist 10% Niacinamide Booster, Resist Anti-Aging Eye Cream, Resist BHA 9 Treatment, and Resist Vitamin C Spot Treatment. And, some options from Alaffia. 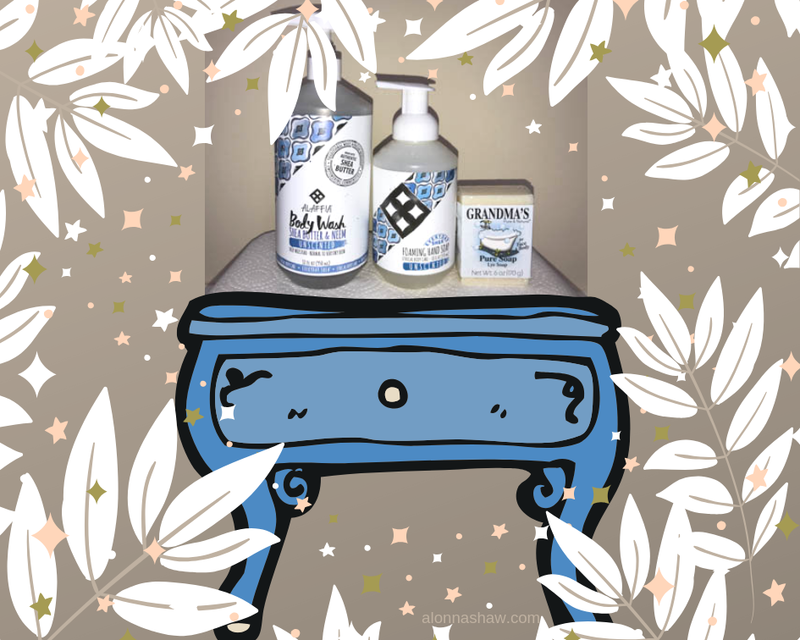 I'm still using their unscented Shea Foaming Hand Soap, Shampoo, and Body Wash.
Grandma's Lye Soap is such a staple that it sneaks into almost every photo! Thanks for reading. We're all different in our sensitivity needs. I hope some of these products might work for you. I find it helpful to rotate products for effectiveness and to prepare myself in case a brand changes ingredients. Sometimes those "new and improved" ingredients cause problems.